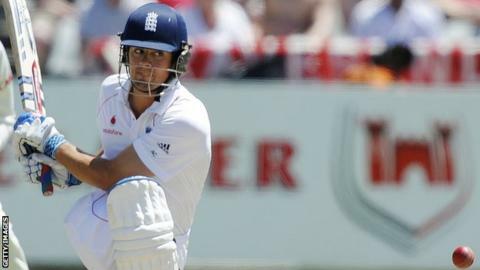 Captain Alastair Cook faces a huge task resurrecting a "stale" England after a dismal winter, says former South Africa skipper Graeme Smith. Cook led England to a 5-0 Ashes defeat in Australia, where they also lost the one-day and Twenty20 series. "He needs to answer some important questions [such as] do the players trust him?" said opener Smith. "It's going to take a lot of energy. Captaining and opening is taxing. He is going to have to focus on performing." Smith, 33, retired from Test cricket in March, ending a 109-match stint as South Africa captain. "England to me look a little stale," he added. "They look like they need new energy, they look like they need a direction, someone to galvanise them." Cook, who missed the the disappointing tour of the West Indies in March, could face Surrey's Smith with Essex on 20 April, but is not expected to play for England until May. "He knows what direction he wants to take the players in, the type of people he wants; once he makes those decisions he's got to really back it and go for it," Smith said. "If he's learned from this experience and understands where he needs to go, good for him." Smith also claims that sacked England batsman Kevin Pietersen could have helped Cook breath life back into the team. Pietersen was jettisoned following the Ashes whitewash amid claims of a troubled relationship with Cook and both parties remain bound by confidentiality provisions. Smith himself endured a fractious rivalry with South Africa-born Pietersen in the Test arena, but said the decision to get rid of the batsman was still surprising. "Kevin's still got plenty of energy, he's fit, healthy and still performing well," said Smith. "It's always nice to have a player like that: who you know can walk out and win you a game single-handedly. And it's nice to build teams around people like that." Smith, whose first year at Surrey in 2013 was ruined by ankle surgery, will line up alongside Pietersen for the new county cricket season. Surrey will begin their County Championship campaign against Glamorgan at the Oval on Sunday, 6 April.